As you all celebrate Black Friday and Cyber-Monday, Haddam Little League is on Amazon Smile! Amazon Smile is a simple and automatic way for you to support Haddam Little League every time you shop on Amazon at no additional cost to you. 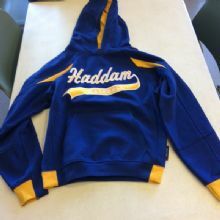 When you shop at https://smile.amazon.com/ch/04-3426341 you will find the exact same Amazon experience as usual, with the added bonus that Amazon will donate a portion of your purchase price to Haddam Little League! This is great for all those Holiday gifts!